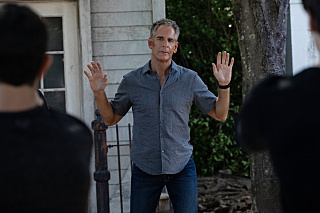 NCIS: New Orleans 5.10 - "Tick Tock"
surprise: looks like a big pride-centered episode. better than I thought it was, especially after I read some comments about the ep, but still: it was a pure dwayne pride show. It felt like 10 minutes loretta and the team combined (she was kidnapped and not with the team, that is why I listed them separately) and the rest was pride. No That doesn't sound good at all What are they doing? I don't know. I just hope they are going to change that soon. Agreed with you nuwanda. It was also better than I thought it would be but still the Pride show. Also, the whole thing with him seeing the ghost lady yet again was annoying. I really wish they would quit with that. It was sad what happened with his dad though. The hallucination woman is weird. I don't understand what they're trying to do with her? Good you are caught up I guess? I don't understand what they are trying to do with her either. I hope it ends soon though.